The CD/Digital version of The Bulls & The Bees + Electroretard reissue is now available from your preferred retail outlets. The vinyl of this release should be available a few months from now, as you've probably heard there are lots of delays at vinyl pressing plants with the increased demand in the format. The band also announced some more U.S. tour dates for later this summer and the beginnings of a stint of European tour dates later this fall. 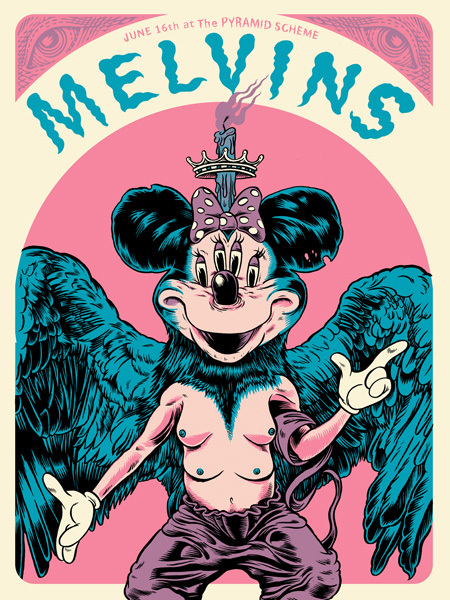 Check out the new dates below or the full list of 2015 tour dates at the usual space. Their tour begins in just a few days in Tucson, AZ so make sure you get your tickets and Cracker Barrel gift cards ready! The Bulls & The Bees / Electroretard reissue is available now from Ipecac Recordings. Listen to "Youth of America" from Electroretard! Le Butcherettes were joined by King Buzzo on the track "We No Owe". Buzz contributed some background yowls and foreground guitar screeching. The Chaos As Usual tour fires up in days!! 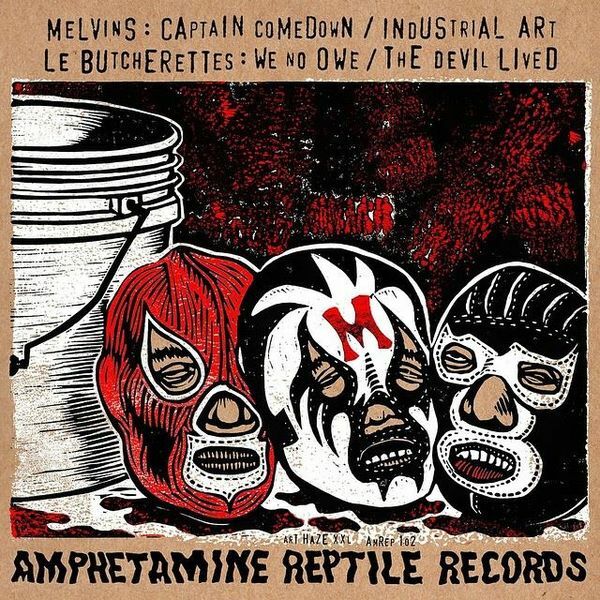 From Melvins / Le Butcherettes "Chaos As Usual" - tour 10" Check out a stream of the song on the Amphetamine Reptile Records Facebook page!